Post Name :- Indian Army 130th TGC Jan 2020 Online Recruitment 2019. Short Information :- Indian Army Invited to Online Applycation Form for Unmarried Male Engineering Graduate for 130th Technical Graduate Course (Commencing in Jan 2020 at Indian Military Academy (IMA) Dehradun) for Permanent Commission in the Indian Army. Those the Intrested Candidates In the Vacancy Details. Can Read the Full Notification Before Apply Online. Age Relations Extra As per Rules. Candidates must be Passed Engineering Degree Course or In the Final Year of Engineering Degree Course. 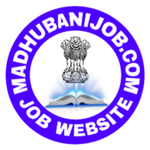 © Copyright 2018-2019 At www.Madhubanijob.com All Rights Reserved. © 2018-2019. Picture Window theme. Powered by Blogger.